Superman has triumphed yet again, this time with help from the federal court in the Central District of California. It wasn’t actually Superman that scored this particular victory, but DC Comics, owner of the trademark rights in Superman’s iconic shield design. On December 15, 2015, the court in DC Comics v. Mad Engine, Inc. denied the motion of clothing wholesaler Mad Engine to dismiss trademark claims asserted by DC Comics against the sale of t-shirts with a five-sided red and yellow shield design on the chest and the text “DAD” inside . The court’s determination that DC Comics had adequately pleaded a basis for a finding a likelihood of confusion arising from Mad Engine’s t-shirts is not surprising given the early stage of the case. However, the decision provides a useful overview of parody as a defense to a trademark infringement claim and clarifies the contours of that defense. Mad Engine argued that its “DAD” shield image was a parody of the Superman shield, “commenting on the real-world futility and even pretentiousness of Superman and his Shield” by contrasting Superman with “DAD,” who “lacks any superpowers, but is a real-world hero to his kids.” A creative argument, perhaps, but not one the court ultimately accepted as a basis for dismissing DC Comics’ claims. Citing well-established 9th Circuit precedent in Dr. Seuss Enterprises, LP v. Penguin Books USA, Inc., 109 F.3d 1394 (9th Cir. 1997), the Mad Engine court first clarified that a “claim of parody is not really a separate ‘defense’ as such,” but rather is essentially just one aspect of the consumer confusion issue. Thus, merely asserting that something is “parody” does not automatically immunize a defendant from liability for trademark infringement. Parodies may be confusing (and infringing) or non-confusing (and non-infringing). The defendant in Mad Engine argued that “putting ‘DAD’ into a superhero shield is making fun of Superman by pointing out Superman’s ‘undue self-importance.’” But the court held, based on the facts alleged in the complaint, that there was no indication that the defendant was lampooning the Superman character. 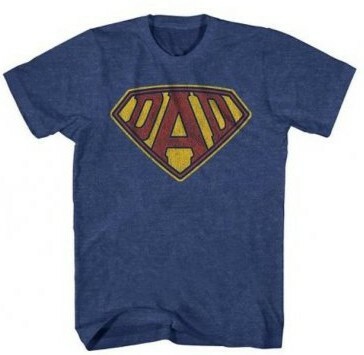 Accordingly, DC Comics was entitled to litigate the issue of whether the DAD shirt was “more like a humorous use to promote the t-shirt’s sales rather than a parody of Superman.” The court also found that DC Comics had sufficiently alleged a basis for finding a likelihood of confusion, given that both parties sold similar t-shirts in similar marketing channels and defendant’s DAD shirts did not bear a clear identification of origin. Accordingly, consumers could be misled into believing that defendant’s shirts were a licensed, humorous take on the Superman logo that was authorized by DC Comics. The upshot for Mad Engine is that its parody argument did not act like Kryponite against DC Comics’ trademark claims, but rather encountered the lead of the court’s analysis. Despite being a relatively brief ruling on a motion to dismiss, the Mad Engine decision contains useful lessons on the issue of parody in a trademark infringement case. First, parody is not an absolute defense – as a general principle, the argument of parody will only succeed if the product is not likely to cause confusion as to source or sponsorship with the trademark owner. Second, parody must make some commentary on another’s mark. Sometimes the commentary aspect will be obvious, particularly when the product involved is an expressive work, like a book or magazine. But when a product is purely commercial in nature, a defendant’s use of the plaintiff’s mark may need to be more than just funny – the humorous use of a similar mark merely to increase sales without meaningful commentary is more likely to be deemed an infringing use. Finally, a parody argument is more likely to succeed if the goods in question and/or marketing channels are different and if there are other strong indicia of source distinct from the trademark owner, because in those cases consumers are less likely to be confused about the origin or affiliation of the products. As an associate in the Trial Group, Kaleb practices primarily in the area of commercial litigation, representing clients in a variety of contractual and tort-related disputes. Next story Seattle Seahawks’ Star Running Back Marshawn Lynch Scores a Federal Trademark Registration—Did The Examiner Misread The Playbook?